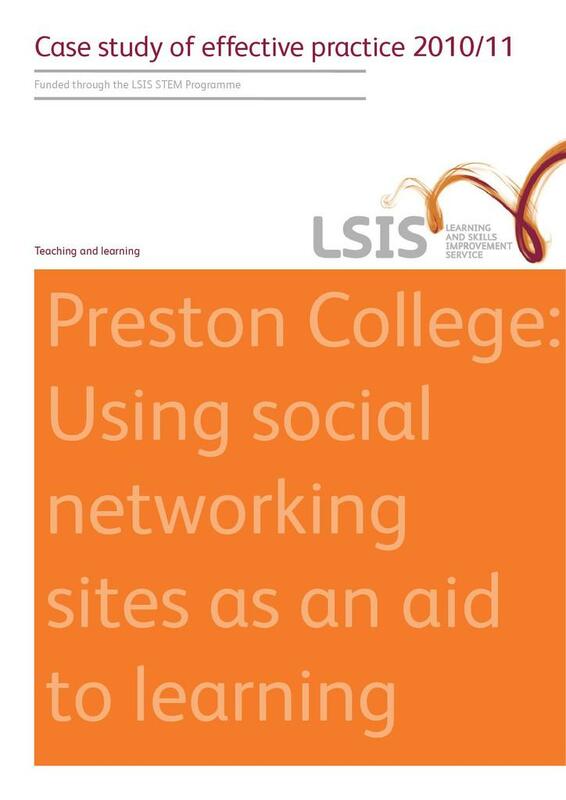 Produced by the Learning Skills Improvement Service (LSIS), this case study looks at how Preston College used a social networking site (Facebook) to engage students studying science and mathematics in more active revision strategies and thus improve success rates. It also aimed to offer support outside of class time and was especially useful for exam preparation. In addition, the project encouraged students to share experiences from enrichment activities and in the long run it will provide an active alumni of students to inspire current students to study and work in STEM areas.